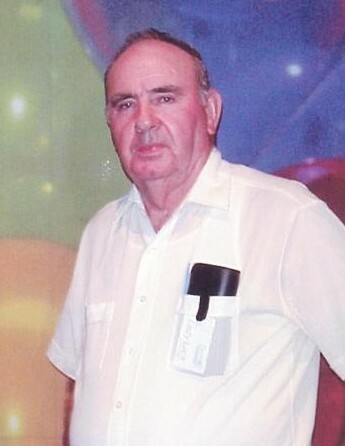 Edward K. Lucas, 91, of North Vernon, passed away at 7:40 p.m. on Wednesday, April 3, 2019, at his residence. A funeral service will be conducted at 1:00 p.m. on Sunday, April 7, 2019 at Sawyer-Pickett Funeral & Cremation Services. Rev. Dale Boyd will officiate. Visitation will begin at 10:00 a.m. and continue until the time of the service. Burial will be in Hillcrest Cemetery. Born May 8, 1927, in Lebanon, KY, Edward was the son of William and Cora Lucas. He married Reba Yeager on October 16, 1948. She preceded him in death on June 8, 2018. He served in the U. S. Navy from 1945-1946. Edward retired from Arvins after 27 years and was a hay and grain farmer. He enjoyed working and going to the casino, hunting and fishing. Edward is survived by two sons, Jim (Debbie) Lucas and Jerry (Karen) Lucas all of North Vernon; two daughters, Beverly (Jim) Bird and Donna (Ronald) Bowling all of North Vernon; sisters, Louise McNeal and Dorothy Stewart both of North Vernon and Edith Mae Minks of Louisville, KY; 6 grandchildren; 15 great-grandchildren and 8 great-great grandchildren. He was preceded in death by his parents; his wife; and sisters, Geneva Everidge and Virginia Bowling.